Victoria Hall, Keighley – 17th to 21nd October 2016. Keighley Amateurs are delighted to have secured the performing rights for this incredible and popular musical. Previously only available to school groups, we are one of the first groups to be performing the full adult version of this musical in October 2016, including all your favourite songs from the Movie! For those who are not familiar with the film (where have you been hiding?) 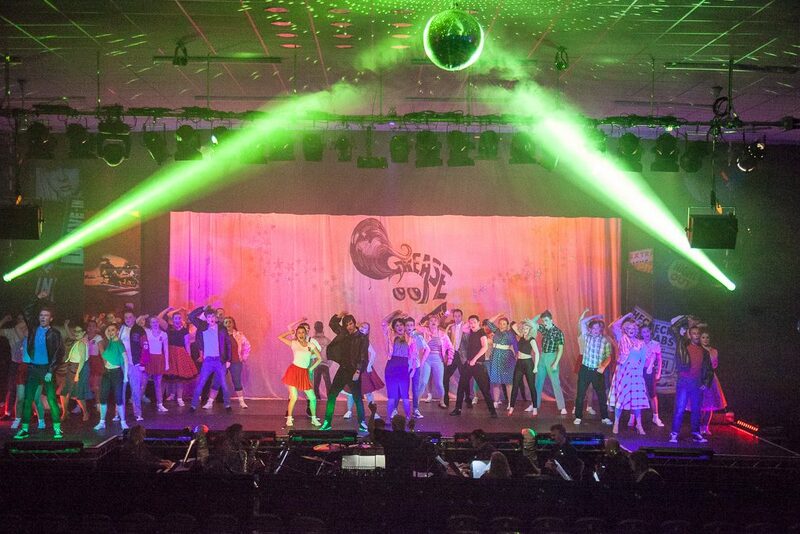 Grease is a musical by Jim Jacobs and Warren Casey with additional songs written by John Farrar. Named after the 1950s United States working-class youth subculture known as greasers, the musical is set in 1959 at fictional Rydell High School and follows ten working-class teenagers as they navigate the complexities of peer pressure, politics, personal core values, and love. The score attempts to recreate the sounds of early rock and roll. The show mentions social issues such as teenage pregnancy, peer pressure and gang violence; its themes include love, friendship, teenage rebellion, sexual exploration during adolescence, and, to some extent, class consciousness/class conflict.